Washington D.C., Feb 7, 2019 CNA.- Access to the birth control pill in the U.S. has increased the births of children outside of marriage, especially among poor and minority women, according to a new study of the contraceptive’s historic effects. The pill appears not to have affected marriage rates as a whole, but its boost to the amount of nonmarital sexual relations paradoxically led to an increase in nonmarital births and to a “large increase in demand for abortion,” they found. Births to unmarried women “increased rapidly” after 1960, from 5 percent to 40 percent of all births. Other research has found that the “single largest correlative predictor” of individual and community economic mobility is the fraction of children raised by single mothers. The strong increase in nonmarital births appeared especially among poor and working-class women, the researchers said. It was concentrated among women whose fathers did not graduate high school and among minority women. Beauchamp and Pakaluk found no evidence that post-secondary education levels were influenced by pill access. They did not find evidence that nonmarital births move with employment patterns among men. Their results took into account access to generous welfare, which is also commonly cited to explain increases in nonmarital childbearing. Beauchamp is an economics professor at Wright State University, while Pakaluk is a professor of social research and economic thought at The Catholic University of America’s Busch School of Business. Their paper was published Jan. 10 in Economic Inquiry, the longstanding journal of the Western Economic Association International academic society. While there is “robust evidence” that pill access in general increased non-marital childbearing, there is “mixed evidence” on whether unmarried women’s access to the pill lowered non-marital birth rates, depending on the data set used. “Importantly, we find little evidence that either form of pill access changed marriage rates, including the shotgun and overall marriage rate,” they said. A “shotgun” marriage refers to a marriage that takes place between the conception and the birth of a child. Beauchamp and Pakaluk discussed the findings in a Feb. 5 email interview with CNA. A “large increase in demand for abortion” was another consequence of the pill’s introduction. Beauchamp and Pakaluk’s paper drew on previous research and on proposed theories about the impact of the contraceptive. “In the past, some authors had suggested that the pill (and legalized abortion) may have played a role in rising female poverty by contributing to non-marital births—notably Nobel-laureate George Akerlof and former Federal Reserve chairman Janet Yellen in a co-authored paper with Michael Katz in 1996,” they told CNA. This argument was “primarily theoretical,” said the researchers, who added that their own findings confirmed the “basic intuition” that fertility control might have unintended consequences. 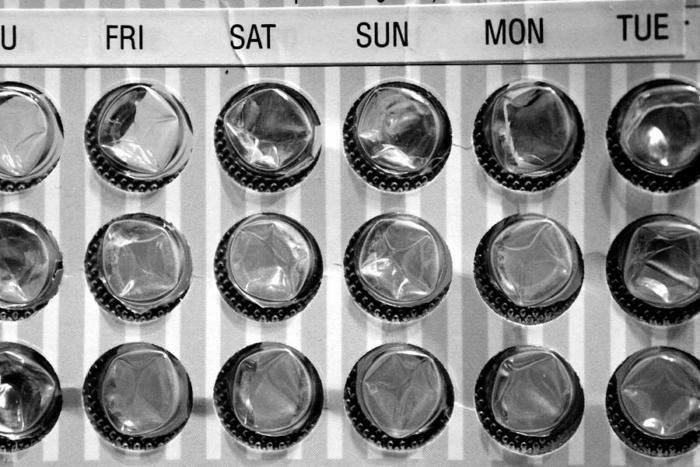 Research on the pill’s impacts has lessons for both its critics and advocates. Advocates of the pill and other contraceptives should take these behavioral effects into account, “especially among the young who are still developing character,” they said. These behaviors can turn into habits and compound effects over time. There is still “a lot of ‘casual’ thinking about giving contraceptives to young people, with little regard for the behavioral consequences,” the researchers said, although some advocacy for long-acting reversible contraceptives appears to be “substantially motivated” by concerns about the importance of behavior. Beauchamp and Pakaluk suggested that critics of the pill should recognize that its introduction and effects are complicated. They said many of its documented effects are associated with increased educational attainment and work opportunities for women. “It is certainly not always the case that things which are morally dubious lead to observable or measurable negative consequences,” the researchers said. “There are lots of fascinating things to learn from this kind of work, especially for the critics, because inside of this research may be clues to thinking about alternative ways to provide for the true human needs that people aim to satisfy using the pill,” Beauchamp and Pakaluk told CNA.